An admitted shoe geek waxes philosophical about running, triathlon, and life in general. It's been a week, so the pain has subsided enough to think about another event. But I'm getting ahead of myself already. Last weekend... Well, not last weekend, but the one before, the one after the Seattle-to-Portland support day... 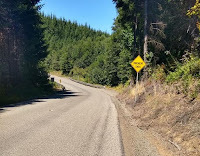 Anyway, it was the fourth edition of the Lucky Masochist's Gravel Deuce, my gift to the cycling community in the form of two days of riding in Capital Forest and areas to the south. Based out of the Lucky Eagle Casino, the first day travels counter-clockwise around Capital Peak, with some very long and steep gravel roads thrown in because... Well, because. 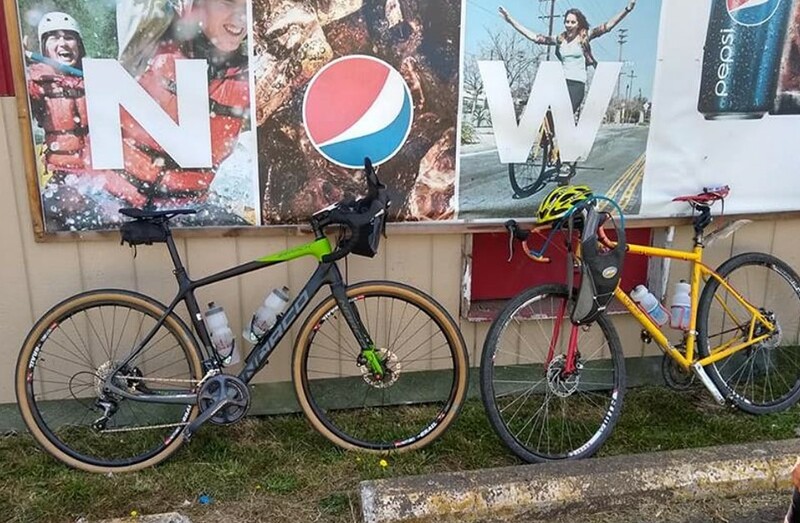 The second day meanders southeast before hitting gravel again, then goes southwest to the Brooklyn Tavern for lunch. Weather this year was the warmest it's been for this ride. I like the heat. I'm strange like that. But I think I still had difficulty keeping up with hydration demands. 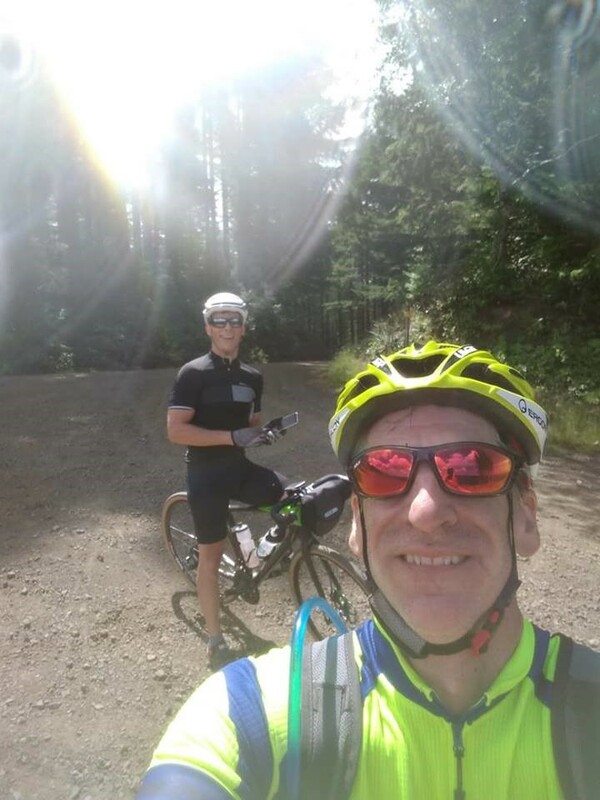 I suffered on the steeper inclines, watching my ride mate disappear into the distance every time the road tilted up to any significant degree. I was doubting myself the whole way. And then I had to walk some of the steepest grade. But I soldiered on, the descents a sweet reward. This was my first time using the Kinekt seatpost on this course, and I could tell it made a big difference in my descending. Some of the roads were "chunkier" than I remember from previous editions, but it made less impact (haha) to my speed. 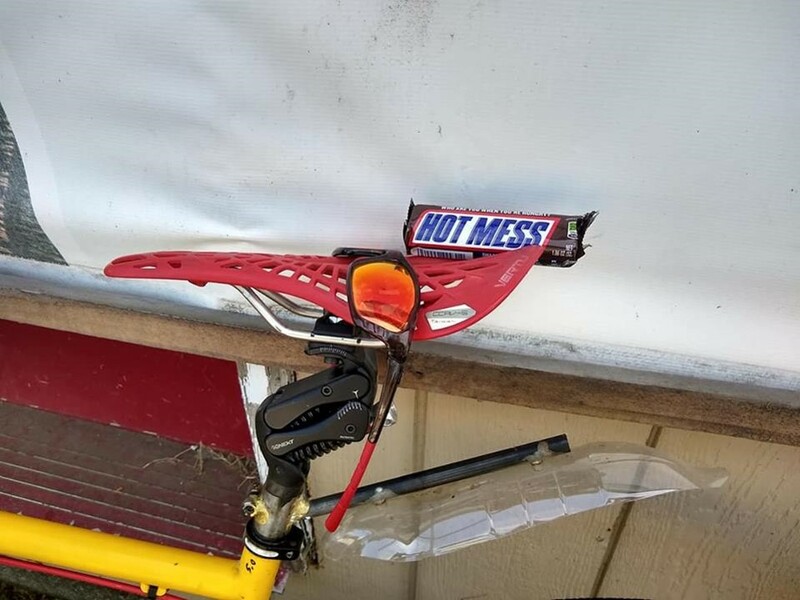 The ride was just that much smoother. The last hill... mountain, really, is a long, LONG ascent. It just keeps on hitting you with more. But I made all that just pushing through the pain, slogging my way upward, and watching the elevation profile rather than my (low) single-digit speed. Tailwinds on the final run back to the hotel were a welcome relief, and the brews and sandwiches that my wife provided to feed us eventually brought be back to humanity. Just in time for day two. This time, again, I was alone. Just me, myself, and I for the ride. So maybe I didn't push as much at the beginning. Or maybe I had just recovered better. In any case, no difficulty. But also, since I was alone, I opted to not take the road all the way out to the Brooklyn. Traffic considerations had me cut off about 10 miles, along with the lunch stop, so I could get home sooner. The hour plus drive back can easily turn into three given Sunday afternoon highway congestion. 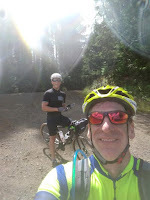 I had been considering signing up for the Cascade Bike Club's High Pass Challenge, a 104-mile out-and-back jaunt from Packwood to the Windy Ridge lookout over Spirit Lake and Mount St Helens (site of the May 18, 1980, explosive eruption). For those keeping score, that also includes 7500 ft of uphill. Given how I felt on Saturday, I was having doubts. 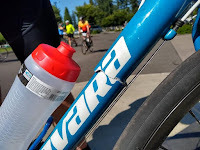 But as I said at the beginning of this little diatribe, it's been a week, the pain has subsided, and I've had another weekend of test rides to see if I am, or at least will be, ready for the ride. And I think I'll be okay. I had explored the idea months before. 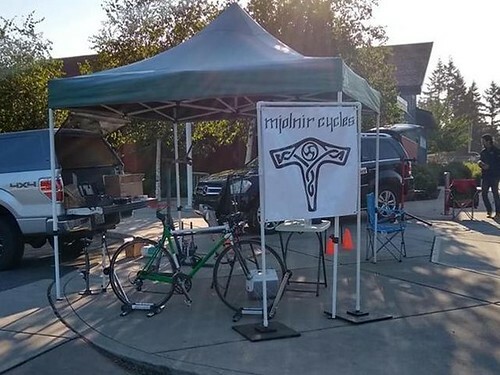 A way to help the riding community while putting the Mjolnir Cycles name in front of probably THE largest gatherings of riders each year. 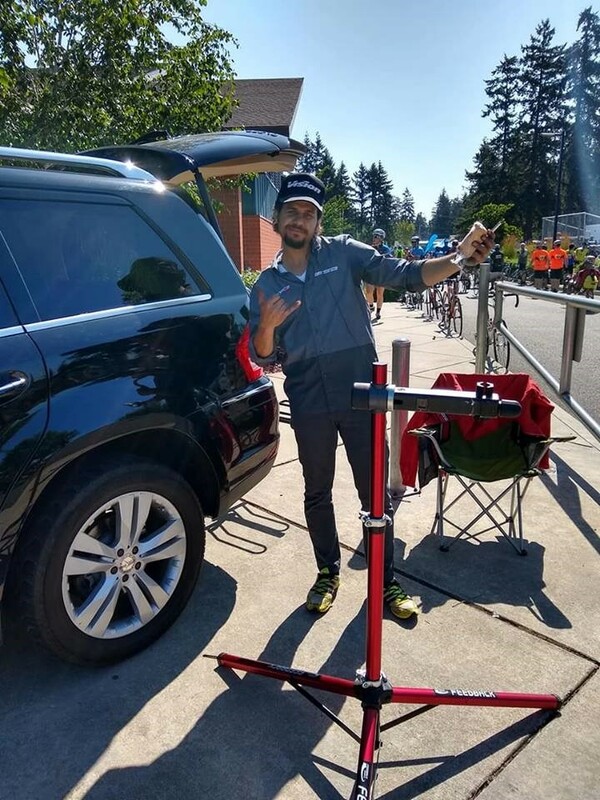 Volunteering to provide mechanical support for the riders of the Cascade Bike Club Seattle-to-Portland Classic at the first major rest stop. Which happened to be about 3 miles from my new dwelling place. Convenient for me. I contacted the organizers, and eventually my inquiry landed on the right desk -- I was immediately accepted. Apparently there is more need than volunteers. There was a span of no communication, and suddenly it was two weeks before the day. I hadn’t been given any direction on just what should be provided (I was told that we weren’t expected to give away any repair parts, and that riders were instructed to carry cash to pay for any needed items – we were volunteering our time and knowledge), so I made my best guess and put in a large order for tubes, patch kits, cables, and other items I thought would be needed. With that plus tent, banners, work stand, tools, and bike rack loaded into the truck on Friday evening, I set my alarm for 4am and went to sleep. 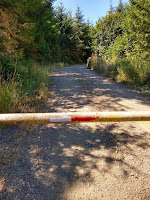 The st-up, next to the entrance road. 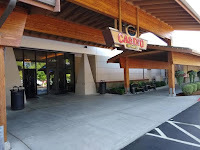 The opening time for the rest stop was 6am, so I arrived about 5:30 to set up shop. 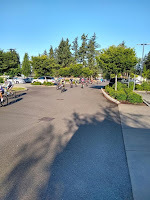 A local middle school (where my daughter will eventually attend, given that we stay in our current house for another 7 years) provided the area where riders would enter, pass the repair area, and on to the port-o-potties, medical support, and food. I made full use of the proximity to the only entrance, and set up just at the curb. Ready to greet the ten thousand of my new best friends. I had a working partner in Duran Delgado from FSA/Vision Tech, who had volunteered the previous year. He had some valuable first-hand knowledge of the volume of work coming, and the types of repairs we would be performing. And a lot of stories to tell of his growing up in the Dominican Republic. I’d also brought my own road bike, sporting the Kinekt seatpost, which generated some interest and conversation through the day. Courses like this one are tailor-made for the Kinekt, with many miles of rough chip-seal. 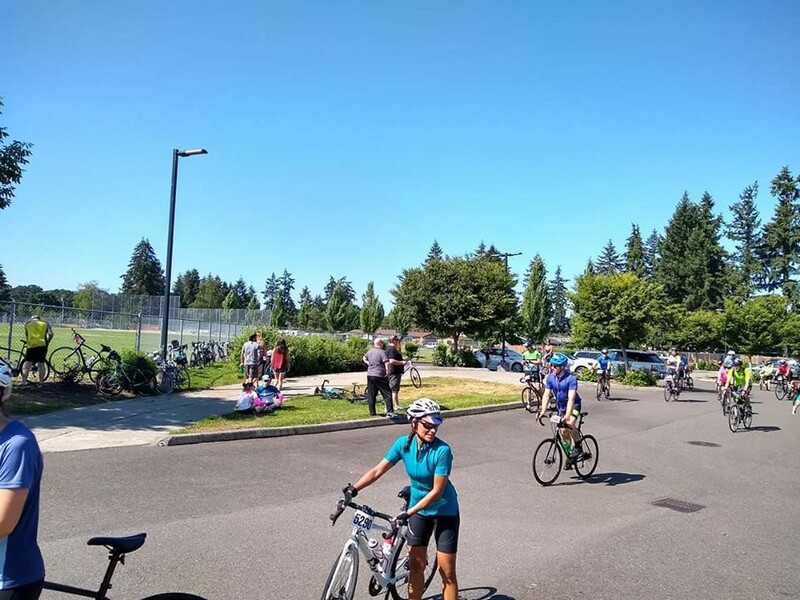 At 6:01, the first riders rolled into the rest stop. Just a few, well spaced. 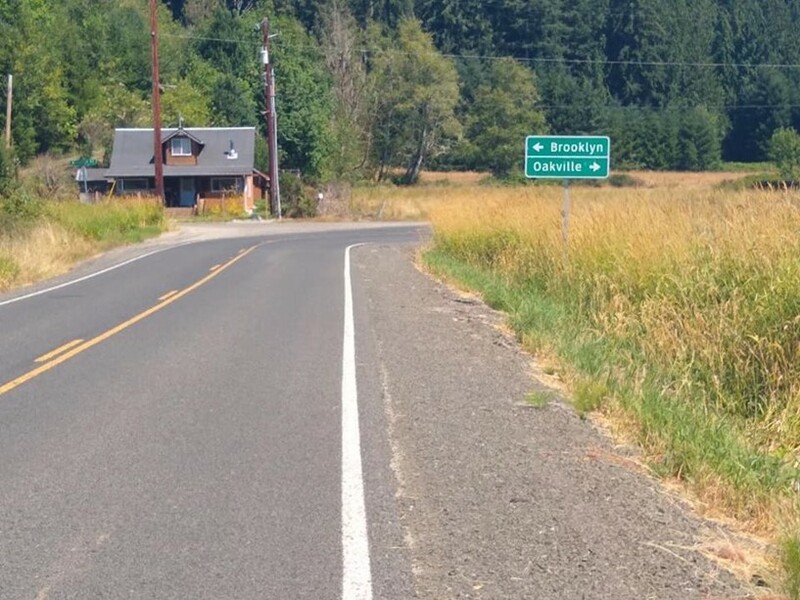 With this stop situated some 50+ miles from the start, I had to wonder just how early these riders set off. I didn’t see lights on all their bikes, and I know it was well before sunrise. Regardless, these riders didn’t need any mechanical help, and we just watched them roll by. 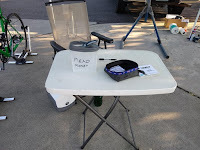 But it wasn’t long before our first customers arrived for bike first aid. 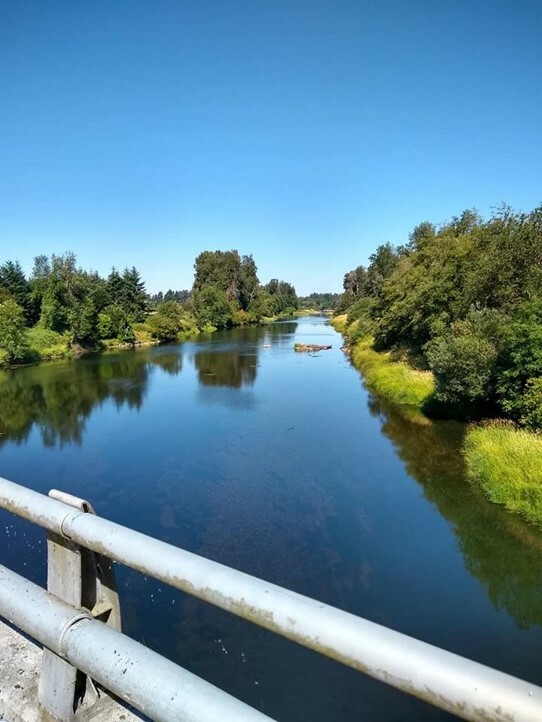 And from that point it ramped up to… the only term I can come up with is “frenzy”… of going from one bike to the next, making adjustments to shifting, airing up tires, changing tubes, lubing chains. There were a few broken spokes, and while I didn’t have any replacements (and the rider was loathe to spend the time waiting for a full repair anyway, with removal of cassette, brake rotor, tire, tube, rim strip… just to get AT the spoke), I could make it better than it was. 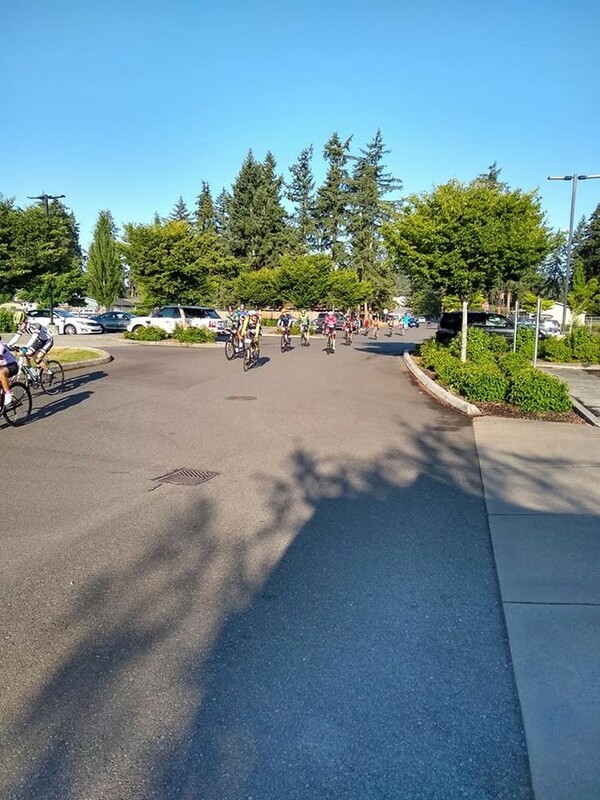 Gregg’s Greenlake Cycles was ready to help with repairs at near 10. I had been told that they hadn’t brought any spare parts, but it turns out they did – they just ran out of a few things (specifically tires, which I had run out of as well by that point). I sold a lot of tubes, CO2 cartridges (which I wasn’t sure I would even want), all the tires I had brought (as an afterthought, and I could have sold a couple more), a few brakes pads, a chain. I didn’t move any of the spare cables or housing, or patch kits. Which is fine – I can still use them. The front table set-up. Tips welcome. 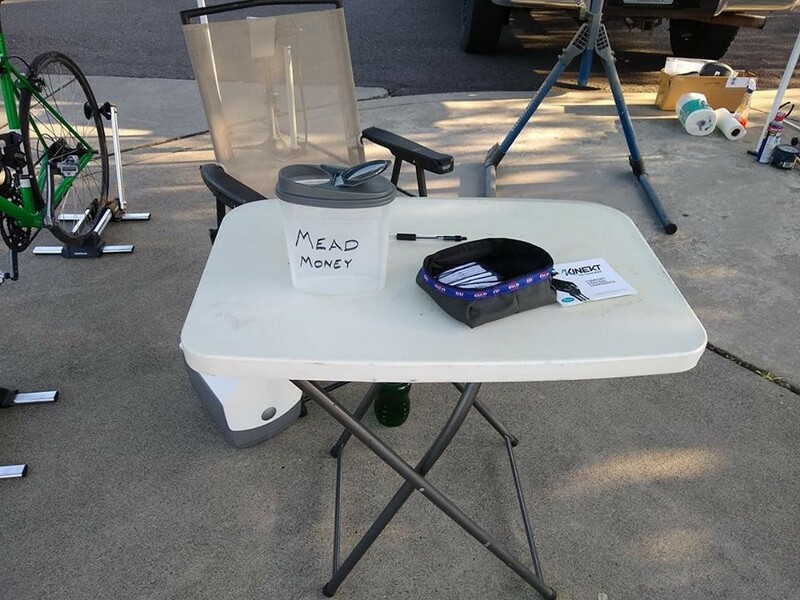 I also had a tip jar, “Mead Money”, placed on the front table. I took payments for parts in cash to that container, and also had Paypal set up through my business email address. It was amazing how generous many of the riders were. Tips poured in. In one case I spent as little as 30 seconds making a derailleur adjustment, and the rider tipped me $20! While I’m sure there were more a couple tubes or such that got out without payment (especially when given the option to pay via Paypal after the fact), overall I didn’t lose money, for sure. 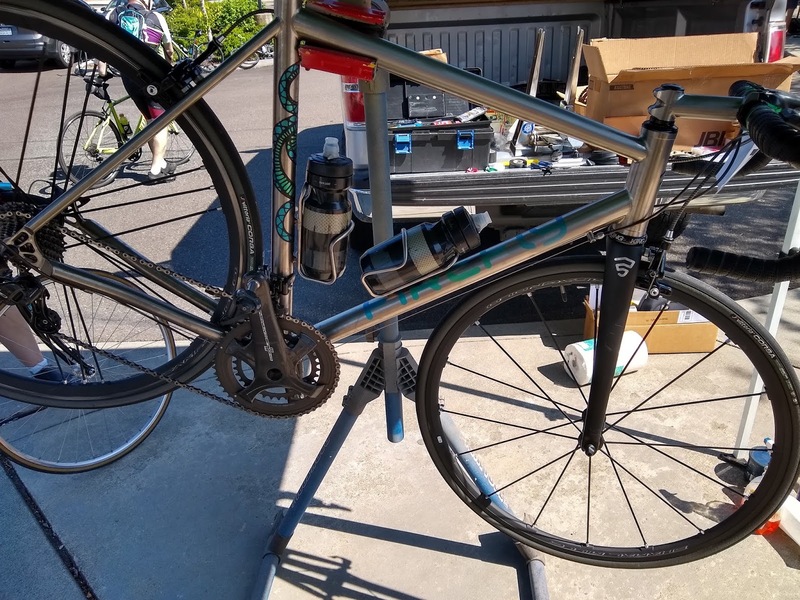 The most extensive repair inquiry came from a young gentleman aboard a Novara (REI house brand) road bike, whose downtube had completely failed. Truly, there was nothing that could be done for that one, and the best I could offer him was a call to REI for a warranty replacement. I saw him a couple hours later walking out to catch his rescue ride, his STP done at 50 miles. 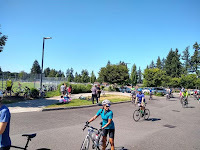 At around 12:30, things tapered off a bit, a good three-and-a-half hours of steady work where I didn’t sit, didn’t eat or drink, just jumping from one bike to the next, performing triage and first-aid to bikes. 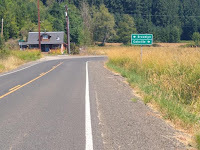 And in all of that, there was only the one bike we couldn’t get back on the road in short turn-around. As I was breaking down my tent, one lady pulled into the rest stop with a rather shell-shocked look. I directed her to the area behind the school where they had a veritable banquet set up still. The relief on her face was apparent. I was packed up and on the road back home by 2:00. 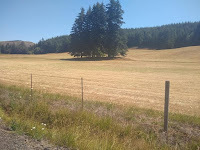 I felt good about the morning, and was already thinking about how I could better support the ride next year. And I’ve already put in my offer to volunteer at the 2019 edition. I’ve been running since I was in jr high in the late 70’s, and added triathlon in 1984. The sports have changed a lot since, but I see a lot of “returning to its roots" happening in the running world. Along with it, I’m rediscovering a lot of the child-like wonder of beginning all over again. I’ve always been very free with sharing any experience I've gained, whether it’s work related or athletic related. And I’ve continued that with my online interactions. Skechers Go Bionic -- Another home run! Surly Cross Check -- the build, the ride. Questions on foot, knee, and low back pain? check this out first! Sam's Running, People, Places, and Things.